Eric Clapton guests on guitar, says Richards. 11 blues tracks laid down for new album, says Wood. The three amigos: Wood, Clapton and Richards, in earlier days. It’s a rare blues fan who hasn’t imagined the scintillating blues of Eric Clapton’s electric guitar accompanying those vintage British rock and blues icons, the Rolling Stones. The good news, blues lovers, is our wait will be finally over this northern autumn, as revealed by Ronnie Wood in December. 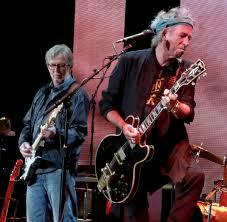 But it took Keith Richards to break the Clapton news over the weekend. Wood had earlier promised the album would include songs by the Louisiana harmonica player, Little Walter, and Mississippi blues singer/guitarist, Howlin’ Wolf. Both of these African-American blues icons, of course, later moved north, where they contributed enormously to the second era of Chicago Blues. This newly electrified form of blues, in the 1950s, heavily influenced the English bands of the early 1960s, like the Stones, and the Jeff Beck Group, which included those ‘terrible twins’ Ronnie Wood and Rod Stewart. You’ll have to excuse Keith’s, forgetfulness. The old riff-maker is 72, after all, and forgetfulness is an affliction that gets worse with age, as all of us over 40 will confirm. Clapton, 71, is no spring chicken, either, and recently admitted to suffering incurable damage to his nervous system. So if Eric’s guitar playing isn’t up to the inspired shredding of his younger days, that’s the reason. Let’s hope this isn’t so. 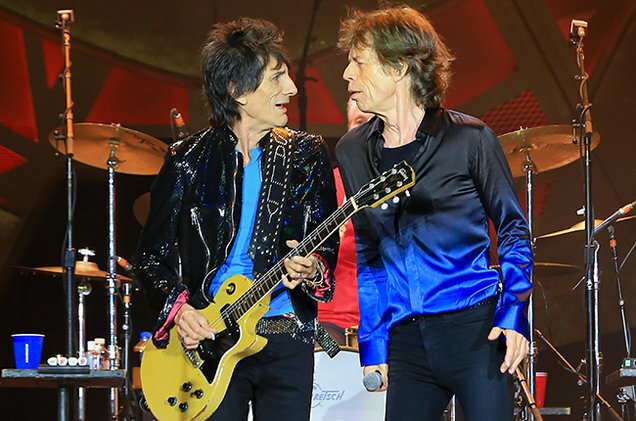 The former Bluesbreaker, Yardbirds and Cream blues guitarist, “dropped by for a couple of numbers”, while the Stones were recording the new album, Richards said. 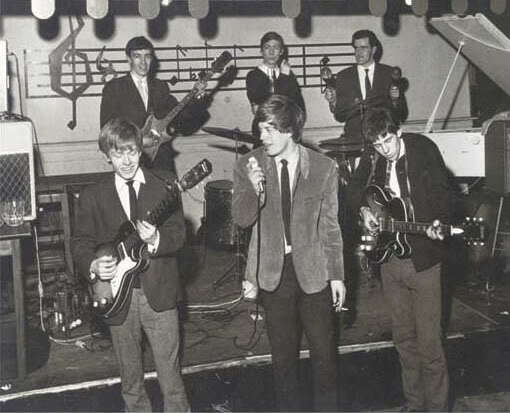 The Rolling Stones performing at Richmond’s Crawdaddy Club in 1963. Clockwise from left: Bill Wyman, Charlie Watts, Ian Stewart, Keith Richards, Mick Jagger and Brian Jones. Photo: Bill Williams. That’s Richmond upon Thames, that genteel borough on the outskirts of London where, at the dawn of the sixties, the Stones were house band at the Crawdaddy Club, the London equivalent of Liverpool’s Cavern. 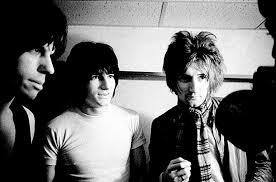 The new album will be the first the Rolling Stones have recorded in the studio since 2005’s ‘A Bigger Bang’. Eric, left, and Keith playing together more recently. According to British newspapers, Clapton and the Stones ran into each other while both were recording at a West London recording studio, and have since recorded two songs together with producer Don Was. “Eric was in the next studio along so he came in to say hello. They ended up jamming and recorded two songs,” said a source. Don reckons it’s the best thing he has ever done with the Stones.” That’s a big recommendation from a guy who’s been producing the Stones (to my knowledge) since 1994’s ‘Bridges To Babylon’. 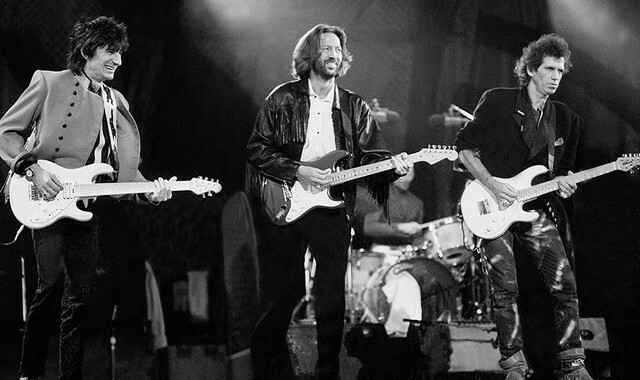 Last year, Clapton’s guitar playing was on a previously unreleased version of ‘Brown Sugar’, which featured on a reissue of the Stones’ ‘Sticky Fingers’ album. Ron Wood, left, and Mick Jagger on one of Stones’ recent tours. You feel like you’re on stage with them wearing 3D glasses at the climax of their EXHIBITIONISM exhibition in London’s Chelsea that finished in September 2016. Courtesy GETTY. Didn’t they always, said someone who still listens to ‘Beggar’s Banquet’ (me). Keith Richards was speaking on BBC 6 on Friday just before Sunday’s BBC2 TV documentary telling the story of Keith’s formative years in Dartford, Kent, just after World War Two. The abolition of national service in 1960 (being called up into the British Army), Richards mused, made the Rolling Stones possible. Keith Richards narrated his childhood experiences over archive footage of the 1950s and 1960s on BB2 last night. BBC/Screenshot. On the radio, on Friday, Keith dropped big hint that the Rolling Stones could also play gigs in Europe next year. “It on the menu somewhere”, he said. Adding that he was hoping to bring the band back to the UK.